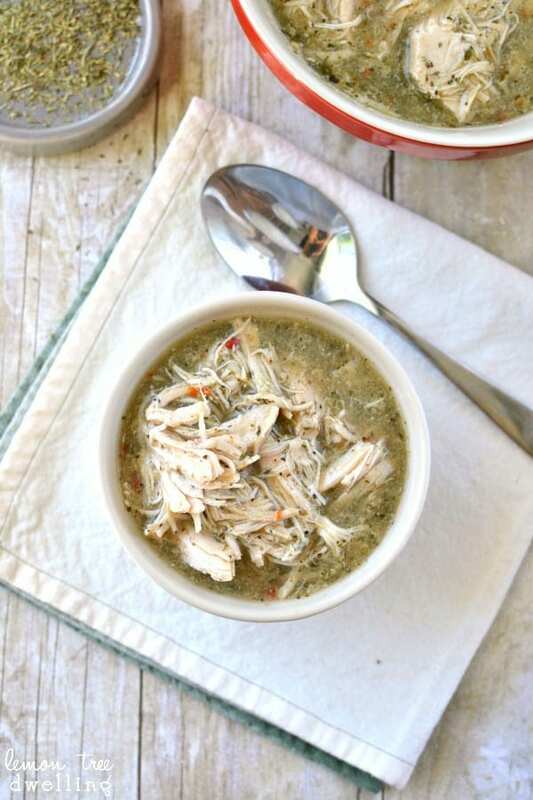 Deliciously seasoned, shredded Italian chicken you can make in the crock pot! So we’ve been out furniture shopping. Two days this week, and we’re planning to go again tonight. (Nothing says fun Friday night like hanging out at a furniture store with 4 kids!) It seems like a lot, but we want to make sure we do it right this time. We tend to get suckered in by 2-day sales or comfy couches…..or the fact that we just want to be done looking already…..but this time we’re taking our time. No suckers here! So far, we’ve decided on couches over a sectional and on brown over gray. We’re realizing that you really do get what you pay for, and at this point we’re just trying to figure out how much we want to pay! But most importantly, we’re trying to figure out which couches we’ll be okay eating on….because – let’s face it – it’s football season! And during football season, we eat on our couches all the time! 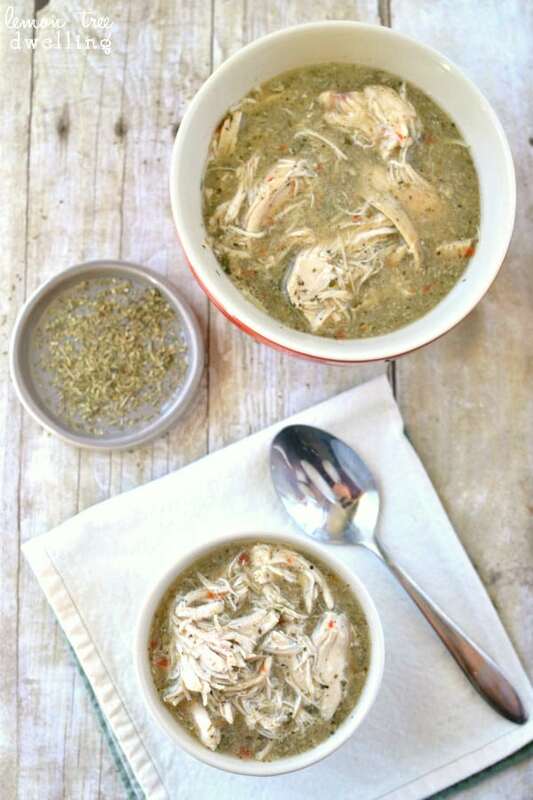 Since I’m fairly obsessed with this Italian Chicken, I plan on making it a lot this season. So, not only do I have to be okay with eating on our new couches…..I have to be okay with dripping on our new couches! This stuff is great in sandwiches, dips, pizzas, soups…..all kinds of drippy, gooey, cheesy game day recipes. Which are coming soon, by the way…..right after we get ourselves some new couches! Until then, feel free to just make it and eat it straight from crock pot. You better believe I already have……and let me tell you…..it’s AMAZING! Cook over low heat 6-8 hours or high heat 4-6 hours. This looks so comforting! I love having leftovers for the weekend, too. This is going on our menu! Yum-o! I can see that piled high on a sandwich and oozing with melted Provolone! Gah – I’ll have to make this soon!! Furniture is never fun – hope you find exactly what you’re looking for! 🙂 Pinned and scheduled to share! 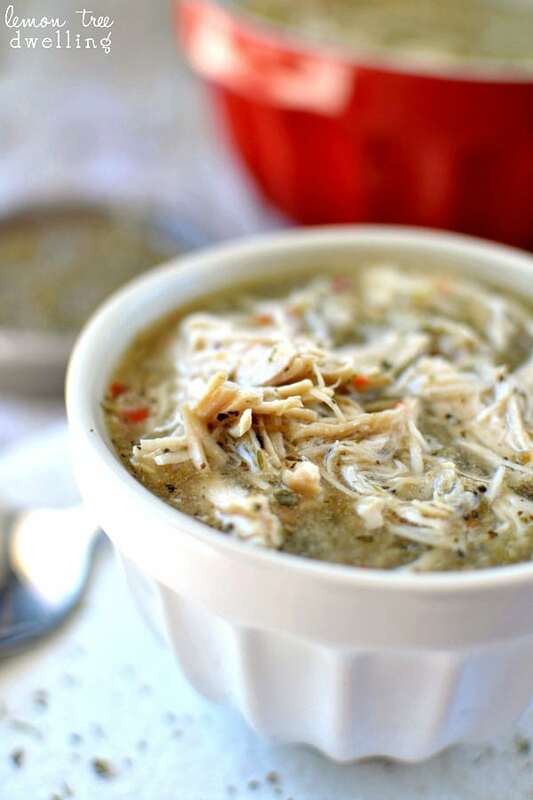 We love crock pot Italian chicken, though our recipe includes cream cheese and mushrooms. Can’t wait to try this one! Furniture shopping is tough! I always go dark- brown leather seems to hold up well with my 4. 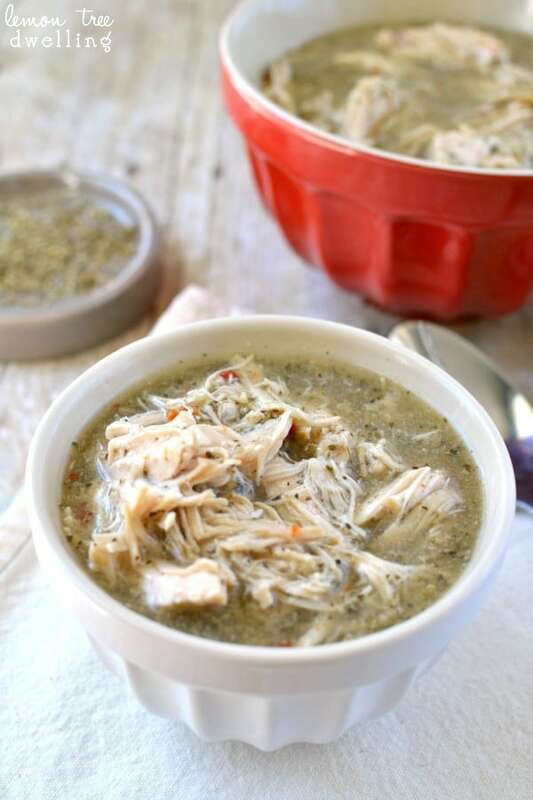 This looks yummy- love crock pot meals for those busy weeknights. 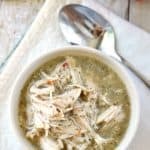 Wow this crock pot chicken looks and sounds delicious! 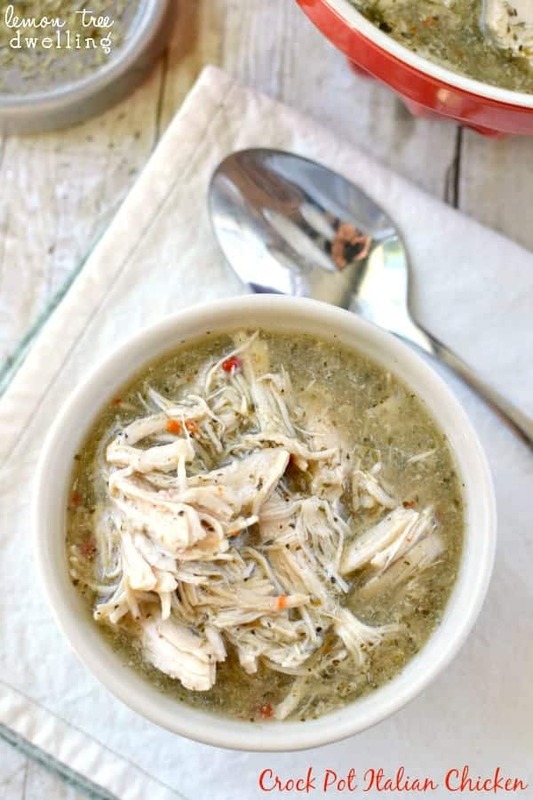 Great recipe, you can definitely consider I will be recreating it – it is perfect for days when I don’t feel like cooking at all!